And I thought they where gone, forever!!! I still have my little VIC-20 as a special reminder of times gone by. Will our kids ever know the joy of typing in a new game from a magazine into the machine? Will they ever know the frustration when the audio cassette does not want to load? Or the absolute fun in the one instrument music track of the game? Somebody mentioned to me over the weekend if games are not becoming a drive for good graphics, and the fundamentals of the original joy of the game is getting lost? 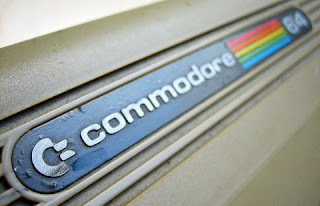 Well, I'm not sure, just very amazed on what Commodore are selling these days.